On Sunday 22nd May 2016, fotpin members and friends, guided by Don and Melissa from the ACT Conservation Research, Environment and Planning Directorate (CREP), conducted the sixth annual kangaroo survey of The Pinnacle Nature Reserve and adjacent lands. Initially carried out in 2011 to satisfy fotpin's curiosity about kangaroo numbers because we suspected the Reserve was being over-grazed, the count, like many others conducted across ACT reserves, now feeds directly into the ACT Kangaroo management plan [ 6.5 MB]. It was a lovely warm, sunny day making it a pleasure to be on the Reserve and contributing to its management. Many thanks to everyone who participated and their supporting families for making the survey a success. The survey employed the sweep count methodology used since 2011 (see Pinnacle sweep count 2011 for details). Two counts were carried out, commencing at 9-00 am and 1-30 pm, each preceded by a detailed briefing from Don and Mel. Over the day 32 people assisted with the count, with 11 of those joining in for the whole day. This was fewer than in previous years and only just gave us just enough people to form a line between Springvale and William Hovell Drives at its widest point, a distance of 1.7km. 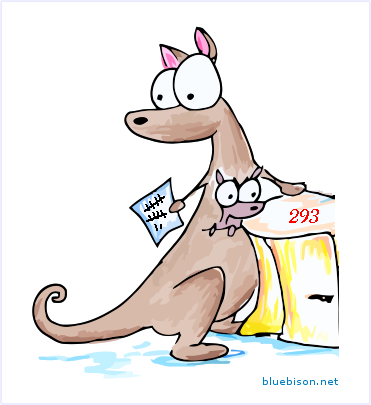 In the morning sweep we counted 291 kangaroos, and in the afternoon 295; the difference between the two (0.7%) is the smallest of the six counts we have carried out so far. An average of these figures was used as the final estimate, giving us a value of 293. This equates to a population density of 0.8 kangaroos per hectare across the area of the count (367 ha), which is spot on the "conservation density" that research in the ACT has estimated for the Pinnacle Kangaroo Management Unit (see calculating the conservation density for how this estimate was arrived at). This year's count was 320 less than last year, the lowest by far of all our counts, reflecting the large cull (399) carried out in 2015. This may have seemed like an excessive cull at the time, and many Reserve users have commented this year on the scarcity of kangaroos as a consequence. On the other hand, observant regular users will have noticed the flourishing of many native grass species in the 2015-16 season, which we attribute at least in part to the reduced grazing pressure resulting from the kangaroo population density being brought down to a more appropriate level. The results show that the population growth rate in the last year was 37% per annum. At this rate, the kangaroo population would soon return to the unsustainable levels of the past without, regrettably, further culling. Fotpin is optimistic that our annual counts coupled with the careful planning of culls by CREP staff will assist to maintain the density at a value around the conservation density into the future, with benefits for both the kangaroo population and the other native flora and fauna populations on the Reserve. See the results page for a summary of all our 6 counts between 2011 and 2016.